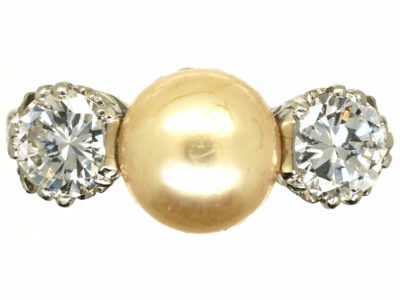 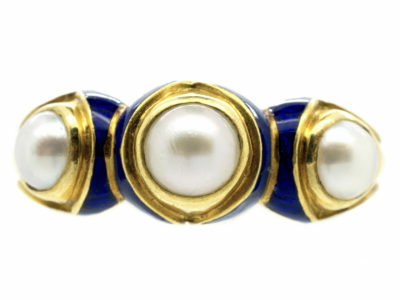 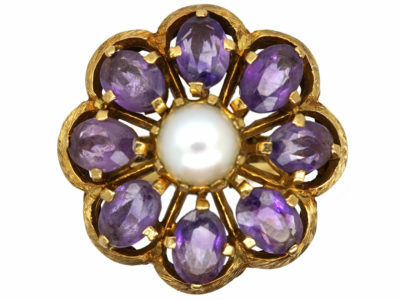 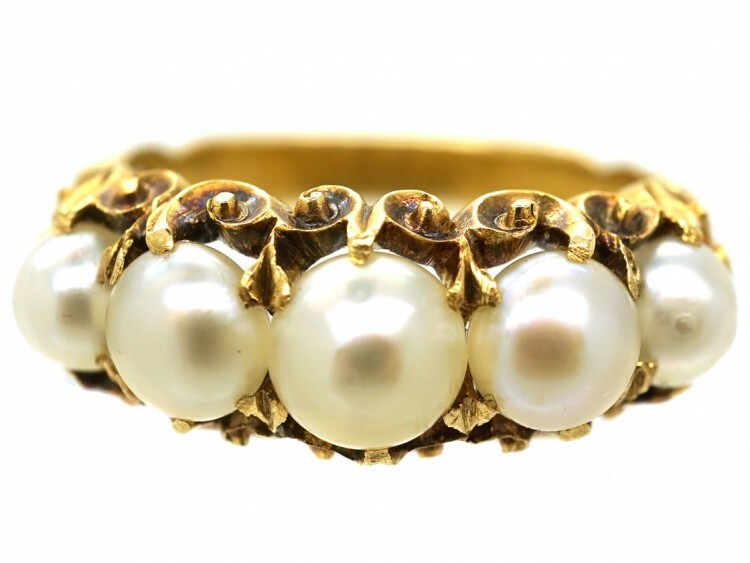 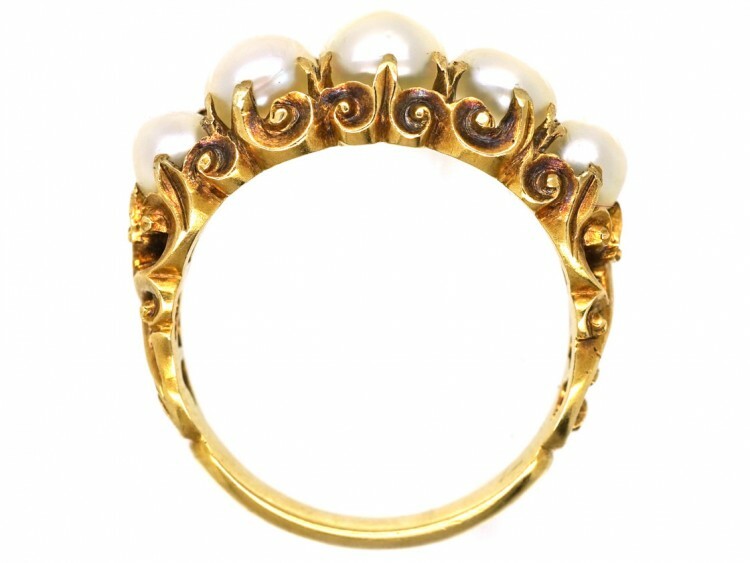 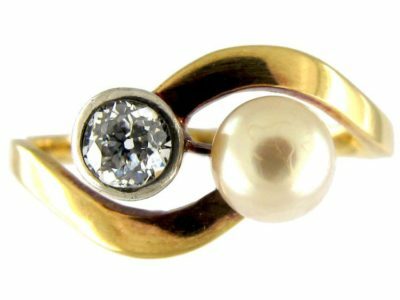 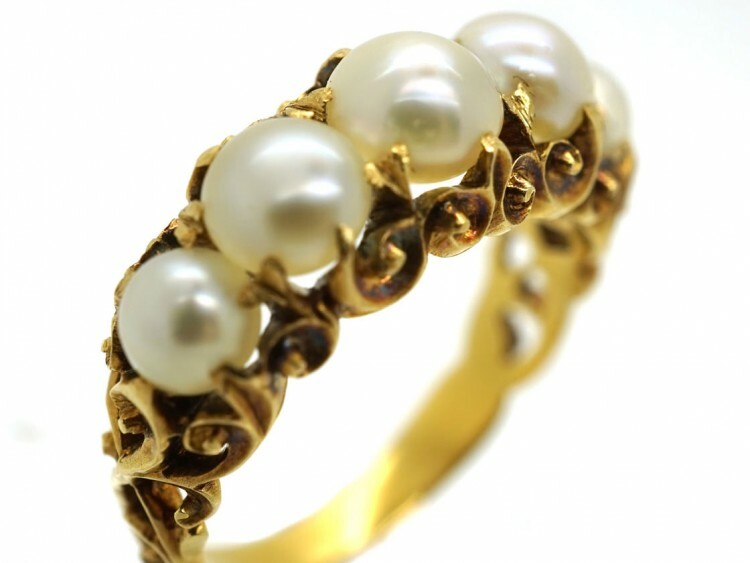 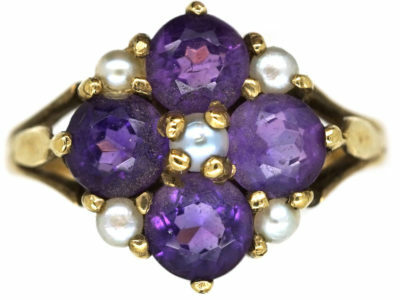 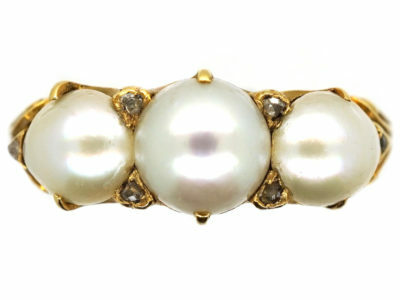 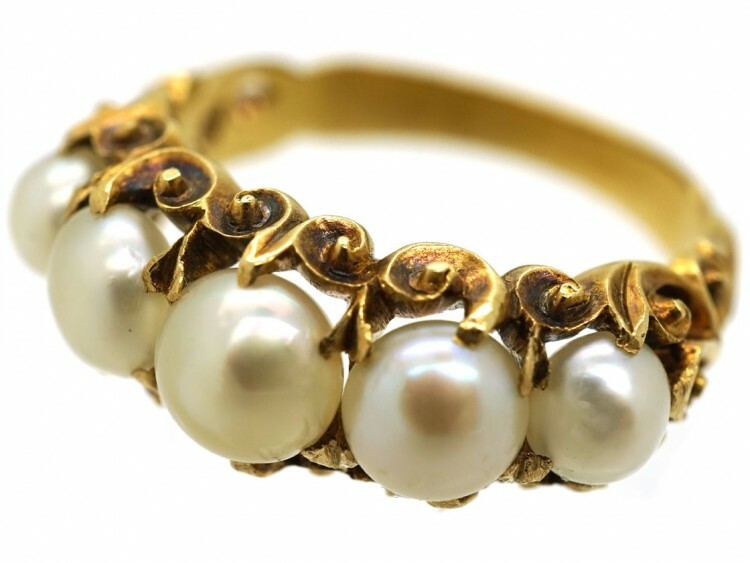 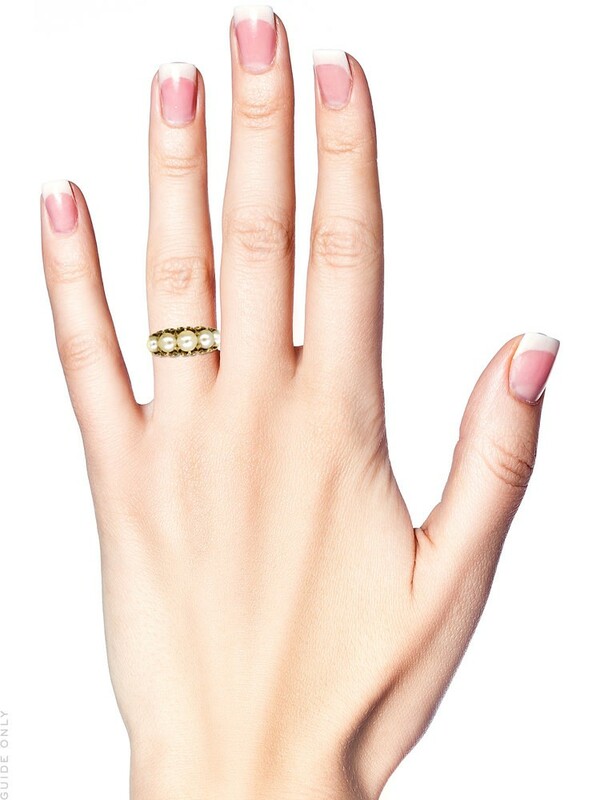 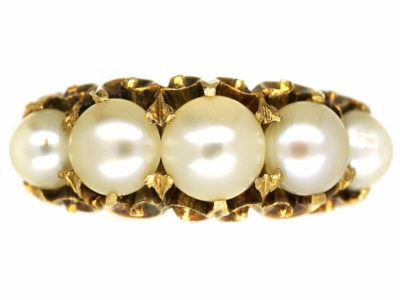 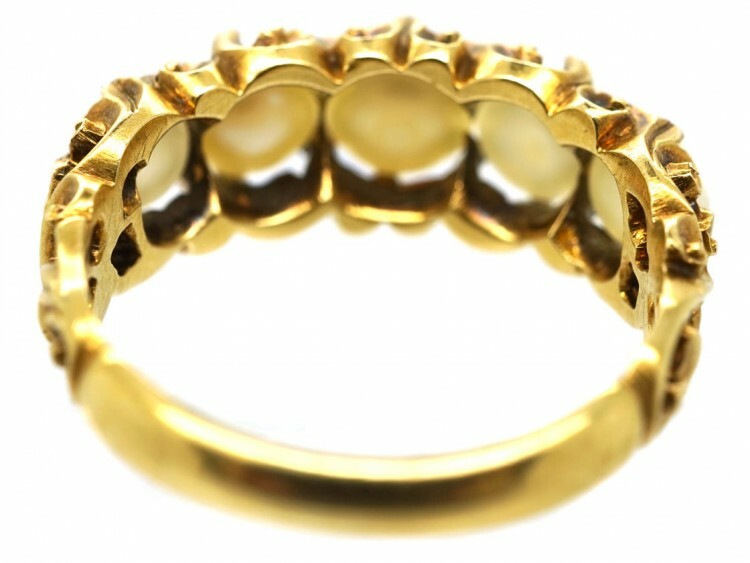 A lovely 18ct gold ring set with five natural bouton pearls. 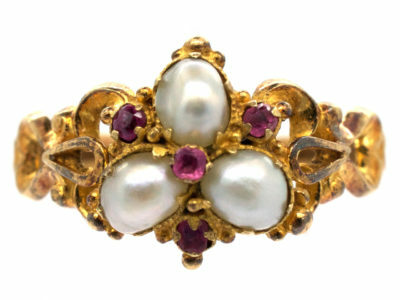 It was made circa 1840 and is a wonderful example of the period. 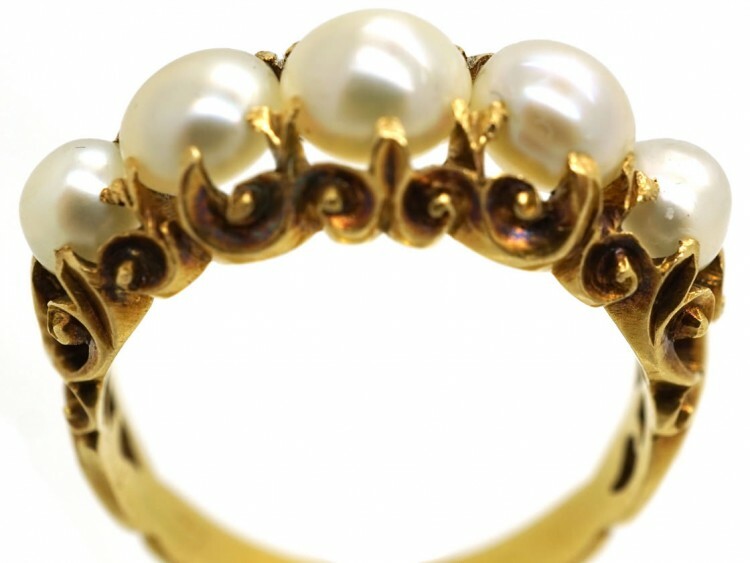 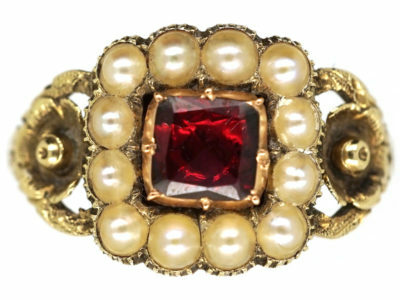 The shank has pierced work decoration on either side, and the pearls are beautifully mounted with a scrollwork and claw design. 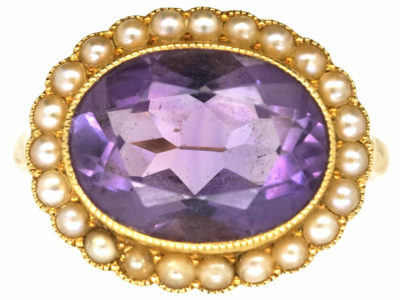 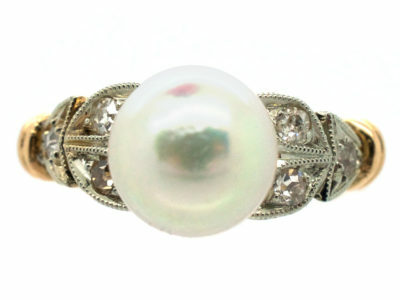 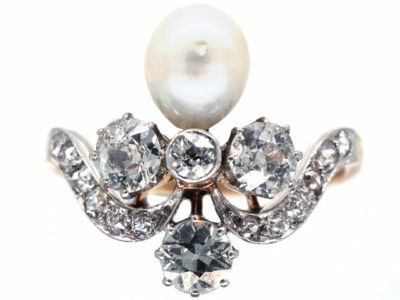 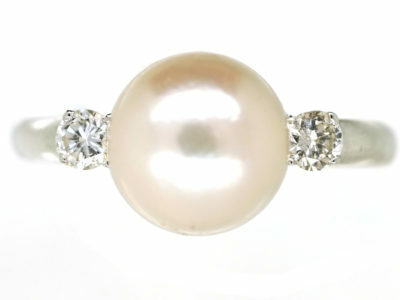 The pearls are in excellent condition with no loss to the nacre.